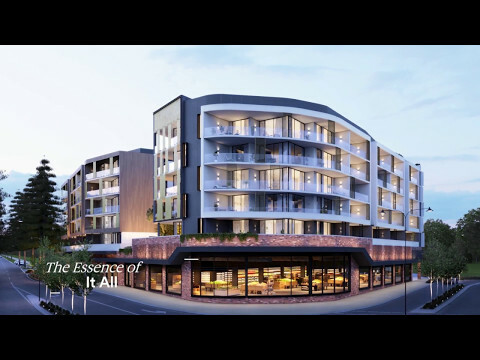 Essence is a new seven storey mixed use development comprising of 148 one, two and three bedroom residential units and seven (7) commercial tenancies, including a proposed IGA supermarket, located on the corner of Davies Road and Shenton Road in Claremont. A total of 235 residential, 17 visitor and 38 retail and commercial car parking bays are located on the ground and basement levels, with a loading bay on the ground floor. There will be a landscaped internal courtyard on Level 1 and common facilities consisting of a theatre, library lounge, private dining room, BBQ and outdoor terrace on the rooftop. The development offers views over Claremont oval, the tennis club, lake, golf course, city or river and is walking distance to Claremont Quarter, a five-minute drive to the ocean or a 15-minute walk to the river. Blackburne Property Group has engaged Pritchard Francis to provide civil and structural engineering consultancy services on the project.